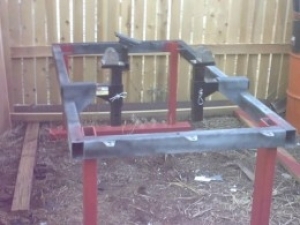 Homemade engine/transmission test stand fabricated from steel tubing. Features adjustable mounts to accommodate a wide range of sizes. Adjustable motor mounts? Thinking of everything here!